If you love a day out at the races, check out all the great race days happening at Exeter Racecourse over the next few weeks. The new season starts at a gallop at Exeter Racecourse on Thursday, October 10 with the chance to win a share in a racehorse. Everyone who pre-books tickets to attend either meeting in October has a chance of winning a share in a horse in training with leading trainer Jeremy Scott. Mixing with fellow racing folk in the owners’ and trainers’ bar, standing in the parade ring while the horse parades and sharing a glass of champagne with fellow owners every time the horse runs will be par for the course for the lucky winner as well as yard visits and the chance to make new friends. To have a chance of winning this fantastic prize, tickets must be pre-booked for either October 10 or the second on Tuesday, October 22. The winner will be drawn on October 22 and terms and conditions apply. 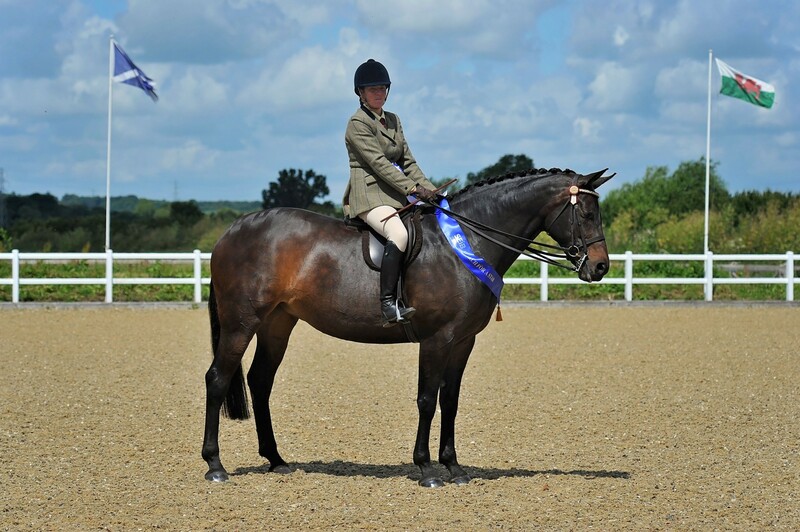 The racecourse has also teamed up with Brookridge Timber and a new stable supplied by the Cullompton-based company means that at its key meetings there will be a resident retired racehorse to meet and make a fuss of. As well as that, six fantastic races are on the card with the first under orders at 2.20pm. Children aged 17 and under race free. Tickets cost from £13 (if booked in advance). A free bus leaves Exeter St David’s at 12.40pm and the Bus & Coach Station 12.55pm, returning half an hour after the last race. Best Mate Novice Chase Day at Exeter Racecourse is the chance to see future stars tackle the Devon fences before they go on to taste big race success. The race is named after the legendary racehorse Best Mate. The three-times Cheltenham Gold Cup winner won over £1m in prize money and but prior to that, he began his glittering steeplechase career in the equivalent race at Exeter in 2000. Such is the caliber of horses that continue to run at this meeting that it is a key date in the diary for racing fans who want to see top quality action at close quarters. Last year’s meeting brought a plethora of stars to the track including Grade One winning Melodic Rendezvous, Rocky Creek and Harry Topper. An added bonus this year is that everyone who pre-books to attend will be entered into a draw to win a share in a racehorse trained by Jeremy Scott. The winner will be drawn after the third race. For those new to the sport, tipster Luke Harvey will give his tips prior to the first race from the winners’ podium, and there’s a special tour of the racecourse for everyone who books the Newcomers package for £25. A free bus leaves Exeter St David’s at 12.30pm and the Bus & Coach Station 12.45pm, returning half an hour after the last race. Haldon Gold Cup Day at Exeter is Devon’s premier race meeting and everyone who loves great racing, fresh air and being in the thick of the action makes it a date in their diary. It’s when Haldon Hill is buzzing with excitement at the prospect of some of the country’s very best racehorses vying to add their name to the Haldon Gold Cup’s prestigious role call. The two miles race is fast and furious and spectacular leaps are guaranteed over Exeter’s chase fences. It’s attracted some brilliant racehorses in the past – Edredon Bleu, Best Mate, Viking Flagship and last year’s superb winner Cue Card. It was an exhilarating thrill watching his foot perfect performance and he went on to taste glory at the Cheltenham Festival. Haldon Gold Cup Day is a time for racegoers to treat themselves. A table booked in the Desert Orchid Restaurant is a fantastic way to relax and enjoy the racing while the Haldon package is great value for money with the chance to enjoy a meal in the Haldon room. A free bus leaves Exeter St David’s at 12.10pm and the Bus & Coach Station 12.25pm, returning half an hour after the last race. 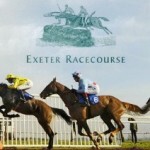 Exeter’s mid November meeting is when students descend on Haldon Hill to enjoy a free day at the races. Anyone who is studying, whether its for a degree, or a British Horse Society exam, is welcome to attend for free, as long as they possess a valid student card. A free behind the scenes tour precedes the six races, and Luke Harvey will be offering his tips from the winners’ enclosure too. Students are also eligible for a 50 per cent discount off Grandstand and Paddock tickets throughout the season. Seven races are on the card with the first off at 1.40pm and with a beginners’ chase and novice chase included it’s sure to attract some promising young horses. A free bus leaves Exeter St David’s at 12.00pm and the Bus & Coach Station 12.15pm, returning half an hour after the last race. 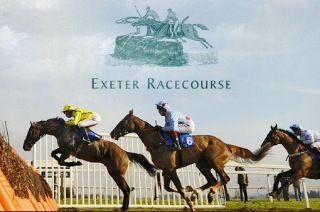 Devon Day at Exeter Racecourse is new to the track and everyone resident in the county is eligible for £5 off pre-booked tickets (code DEVON13) To kick off the day, a very special race will be staged. A team of Clydesdales who live on Dartmoor and provide horseback holidays over the moors during the summer, will race two furlongs down the home straight with jockeys on board. It is sure to be a spectacle while highlighting the plight of this endangered species whose numbers have dwindled in recent years. The meeting will also be the launch of Exeter and Visit South Devon’s campaign to highlight all the great things to do in winter in the Westcountry, such as racing, walking and eating at the county’s many renowned pubs and restaurants. A fine roast lunch will be available in the Desert Orchid Restaurant where racegoers can book a table and relax there for the day while enjoying the spectacular views across the racecourse. A free bus leaves Exeter St David’s at 11.25am and the Bus & Coach Station 11.40pm, returning half an hour after the last race. It’s time to celebrate Christmas at Exeter Racecourse and this popular meeting will be a hive of activity as businesses, friends and families descend on Haldon Hill to start the festive season off in style. Other races include a four-mile handicap steeplechase where horses with plenty of stamina come to the fore. There’s also a novices’ chase that is sure to attract some top class future prospect. Discounts are available for bookings of ten or more. A free bus leaves Exeter St David’s at 11.00am and the Bus & Coach Station 11.15am, returning half an hour after the last race. The six race card features a novices’ chase and hurdle for mares, and top class prospects are sure to be in action. There’s also a novices’ chase that is sure to attract some top class future prospect. A free bus leaves Exeter St David’s at 11.10am and the Bus & Coach Station 11.25am, returning half an hour after the last race. New Year’s Day on Haldon Hill is a great Devon tradition and folk from far and wide gather at the racecourse to toast the first day of the year. It’s the perfect day out for anyone who is new to racing with a great atmosphere guaranteed. For those wishing to make it a day to remember, book a table in the restaurant and enjoy a wonderful lunch with a fantastic view across the racecourse. The hospitality suites are perfect for New Year’s Day parties while groups of ten or more can enjoy a discount off the ticket price. Tickets cost from £15 (if booked in advance).